Opioids impact lives every day in communities across the country, and the number of people in need of addiction treatment and support continues to increase. Our medication-assisted treatment (MAT) software solves the unique challenges of MAT programs, so you can focus on the journey of the individual’s recovery. 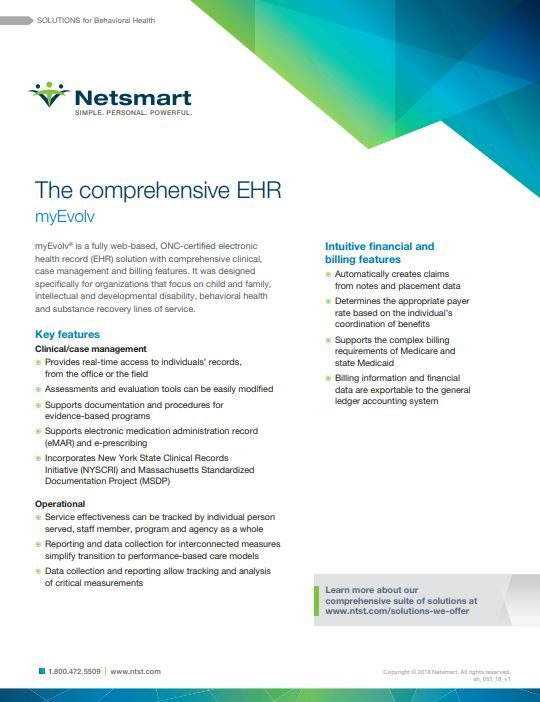 We provide MAT EHR software that is helping transition addiction medicine into an era of integrated care, data sharing and meaningful individual engagement to promote recovery. Our technology supports your mission to provide the right care at the right time for each individual and treat those in need wherever they are located. Our proven track record of supporting providers has prompted prominent organizations to place their trust in us. You can rely on us to continue that support. The current opioid epidemic is a crisis years in the making that causes difficulty in many aspects of life for addicts, their family and friends, and yes, even their healthcare providers. The human impact of the opioid crisis is tremendous. More than 115 people in the U.S. die every day from an opioid overdose.